Lots of kids love cartoons. And when faced with a child wanting to watch some television, many parents feel that cartoons may be the lesser evil. There are lots of adorable, lovable characters like Winnie the Pooh, Olaf from Frozen, and Yogi Bear, and they often try to promote positive messages. So as long as you limit your children's screen time, how bad could a few cartoons be? Well, the answer may be pretty bad if your kids enjoy watching chubby characters like the ones mentioned above. According to new research, kids tend to indulge in extra helpings of junk food after seeing cartoons featuring plump characters. The study, which was conducted at the University of Colorado--Boulder's Leeds School of Business, found that children viewing shows that include rounder cartoon characters eat more high-calorie, nutritionally empty foods than do their peers who are not shown those rounder characters.1 The subjects in the study were several groups of children ranging in age from six to 14. The kids in each experiment were shown characters that were drawn to depict either normal weight body shapes or clearly overweight bodies that were illustrated with egg shapes. For the first two of the trials, the kids watched some programming and were asked questions about the quality of what they saw. Then, cookies or candy were offered to them. In both executions of the test, the children who saw characters that appeared overweight indulged in nearly two times the amount of cookies or candy as did the participants who saw cartoons illustrated to represent normal weight or who watched no cartoons. Interestingly, the third experiment in the research was conducted a little differently. The kids taking part in that version answered health-related questions prior to watching the programming. This made a big difference in the results. In this case, the children who viewed the overweight cartoons did not respond by eating a greater quantity of the junk food. These findings suggest that kids as young as six or seven may be strongly influenced by the characters they are watching on television, even when they are not based on real people. 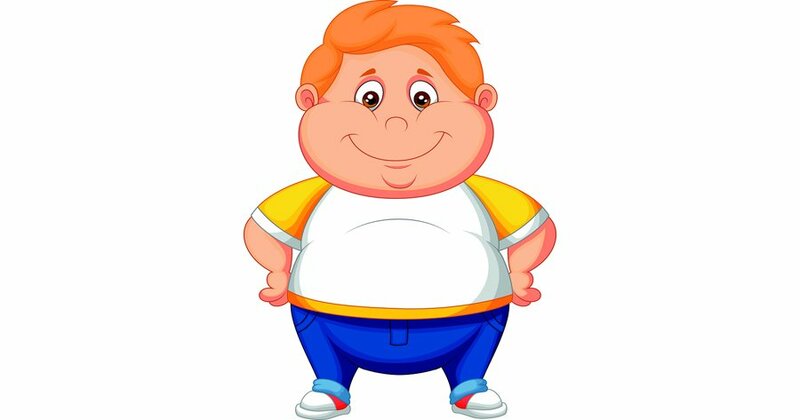 Just as a 2014 study at Southern Illinois University in Edwardsville showed that, simply by dining with an overweight companion, regardless of what they are eating, we tend to consume greater amounts of high-calorie, unhealthy food,2 the current research seems to imply that children might take on the stereotypical bodyweight behavior of a cartoon character even if the character is not eating on the show. While it's not surprising that kids might eat mindlessly after spending time in front of the TV, it is a little surprising and unsettling that they would make even worse eating choices just because they saw overweight characters. Plenty of research has found an association between distracted eating while watching television and an increased risk of obesity in those who watch a lot, but this may be the first to suggest that children may eat more after seeing overweight characters. However, it is definitely a bright spot that the shapes of the characters made no difference in eating behavior when the children were made to think about health beforehand. And that might be the most important take-away from this study. Let's face it, most of us are not going to get our children to stop watching television. If dangers lurk even from watching sweet cartoons with positive messages, such as in Winnie the Pooh, then perhaps it is best that we spend more time focusing on making our kids aware of the importance of good nutrition and health. If discussed in an age-appropriate manner, the study shows that even preschoolers can begin to understand how what we eat affects us. So teach your children how to be healthy and how to eat healthy. Become a good role model, and provide them with frequent reminders so those chubby characters on TV lose their impact. Remember: you want your child to watch Winnie the Pooh, not become him.